240 Elm St., Suite B9 (basement), walking back out of Davis T stop, on Holland→Elm Street towards Porter Square, 3 cross streets, down, on your right . . .
Well, that's what it feels like in the chess world, anyway. 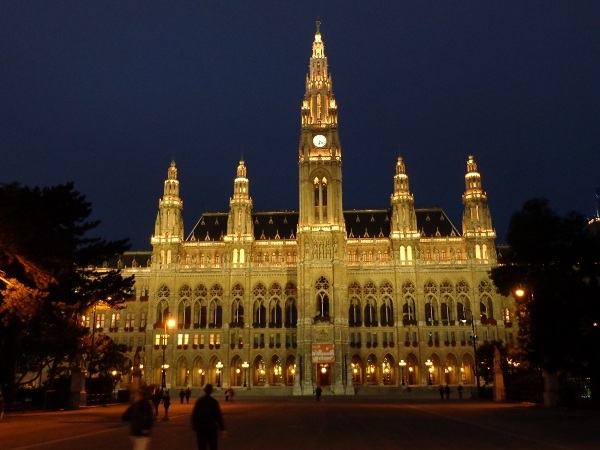 In the chess world, when the score between two opponents is grossly out of line with statistical expectations, the hapless underperformer is sometimes described as being the "customer" of the other player. And in the chess world, when it comes down to the last decision that determines a game's result, the customer is (almost) always wrong. The customer's hard-earned rating points are uncannily drawn toward bad choices (cue the old Saturday Night Live Bad Idea jeans fake commercial). Before rejoining Boylston tournaments after an extended time away, I had played Walter "The Fighter" Driscoll twice, winning both games, but back then it seems that I had about a 50 point rating edge over him each time. 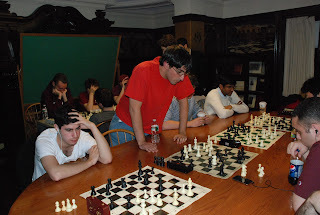 When we met again over the board at Boylston in 2004, I achieved what I thought was a clear advantage, but lost my way and ended up feeling that my position was somewhat uncomfortable. 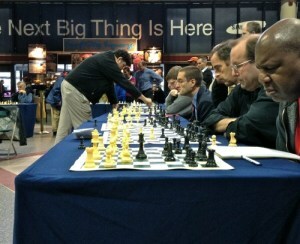 In the above position I played 46 hxg5 and offered a draw, which Walter declined. I think I considered that the most I could get would be a draw, and that I would likely be able to get one, but if he were to accept my offer that would save me effort and unnecessary worry. At an earlier stage of the game when things looked (at least to me) rather worse for Walter, he had offered a draw which I had declined, although I don't think that affected his decision to decline my offer. 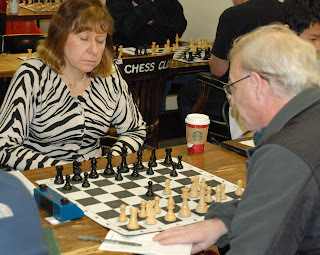 I played 52 Be6 and again offered a draw, which Walter also declined. However, after 52...Kd4 53 Bxf5 I "persuaded" him. 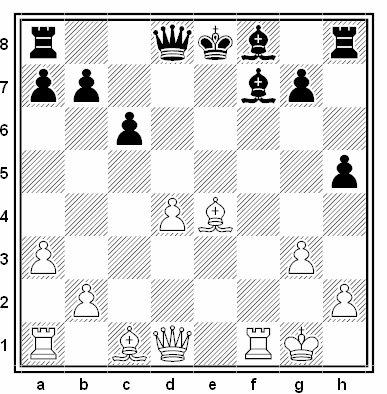 White's task has always been to eliminate Black's pawns, with both his bishop and knight being expendable to achieve the draw. 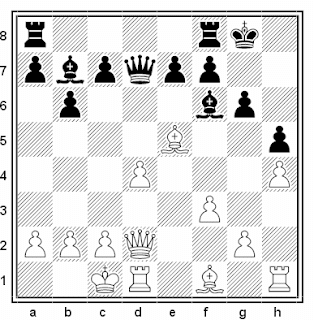 So, based on having seen more than Walter had in the above endgame position, I leaped to the wildly irrational conclusion that my practical understanding of chess was greater than his, that I could win the next game (this was the Paramount double round-robin tournament), and lock him in as a long-term customer. Well, somebody was destined to be the customer, but it wasn't Walter. He subsequently handed me 5 losses in a row, and during that period, our ratings have been within ("a mere") 130 or so points of each other. 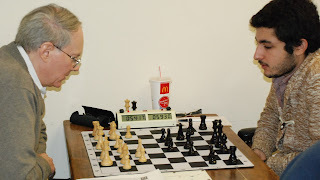 Now, I understand that Walter's 1800 "exceptional" rating floor from around 2007 originated from a great result at one of the big CCA tournaments, and as he has mentioned to me, he has yet to crack 1900. He's bounced off that rating floor multiple times, but I am no stranger to doing so. My "traditional" rating floor is 1700 (based on getting a 19xx rating), but the last time (okay, okay, the only time) I made it over 1900 was back in late 1991. 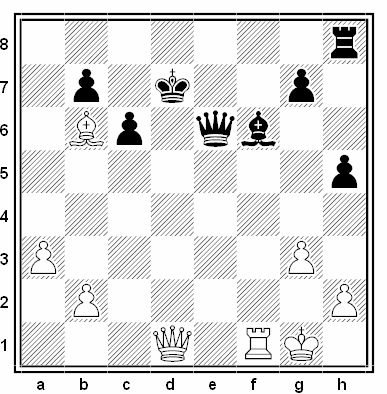 In the postmortem Walter said, "I thought you were going to play 16...Bxe5 17 dxe5 Qxd2+ 18 Rxd2 Rad8 with a draw.". The subsequent open-mouthed silence? Yeah, that was me, making the sound of a player utterly dumbfounded by his lack of vision. Customers often achieve perfectly reasonable or even winning positions, but are ever dogged by cruel cosmic chess injustice. Fortunately I found a customer of my own (Sorry, Larry). Although I started our series off with a typically blunderful loss on my part, I subsequently collected 5 wins and 2 draws, and Larry's rating was similarly within a roughly 100-point range of mine. Larry Eldridge and I often feed off each other's long thinks. 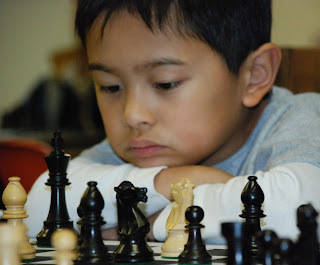 In this game, he "saw" my ~26 minute think on move 9, and "raised" me by taking ~49 minutes for his 10th move. 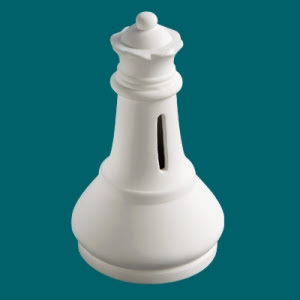 I was obsessed with offering to give up a pawn with check. 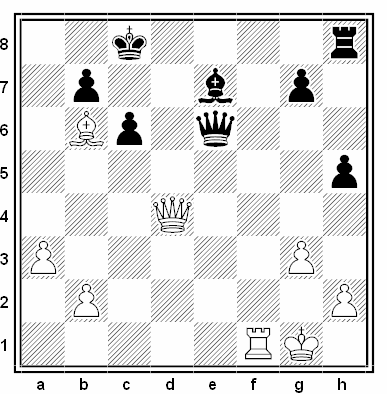 Ah, Capablanca-Tartakower, New York 1924, what folly you inspired in me.... I felt that with the subsequent activity of my pieces combined with the clock situation, even someone who loves pawns like I do could bear to allow Black to take my d4 pawn. 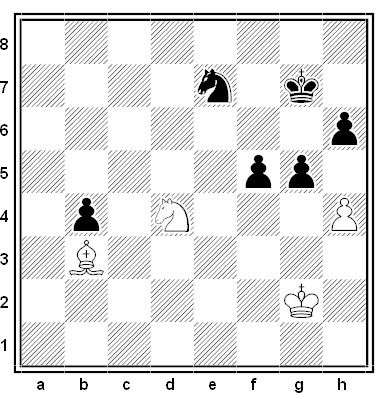 While preparing this blog entry I checked tChess Pro's suggested moves at several junctures, and was rather put out to discover that in my Capablanca-esque dreams I had missed the crushing 20 Rxf7!! Kxf7 21 Qb3+ Ke7 (21...Ke8 22 Bg6+ Kd7 [22...Ke7 23 Qf7+ Kd6 24 Bf4 mate] 23 Qxb7+ and White is clearly winning) 22 Bg5+ and White is clearly winning. 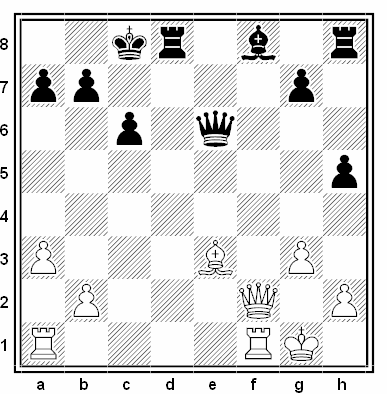 So Black's previous move should be punctuated as 19...Bf7?? 24...Qe5 I declined Larry's draw offer. To reach move 40, I had about 26 minutes left, and he had fewer than 2. 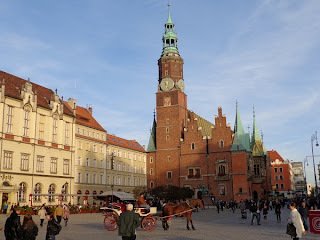 Practically speaking, it seemed likely enough that his lack of time could lead to a gross blunder (and with my greater remaining time, it was my intention that such a blunder would not come from me!). 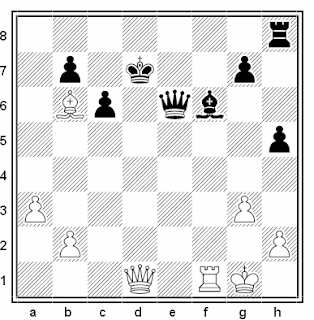 28 Bxa7 The loss of this pawn introduces queenside weaknesses which I thought would make it easier to win. 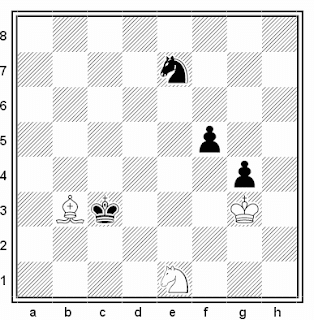 I had been looking forward to Black's next move, thinking that my queen's access to the a-file and Black's b-pawn weakness would allow me to bring home the point. 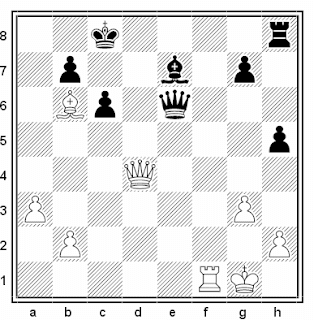 tChess Pro gives 33 Qa7 Qd5 34 Qxb7+ Ke6 35 Re1+ Kf6 36 b4 h4 37 Rf1+ Kg6 38 a4 hxg3, with White having a slightly more than 2 pawn advantage. I had more than 8 minutes to make move 40, but Larry was almost out of time. I had certainly considered 33 Qa7 earlier, and at this time I don't remember why I didn't play it. I don't normally believe in trying to blitz opponents when their flag is about to fall -- I prefer they self-destruct on their own. 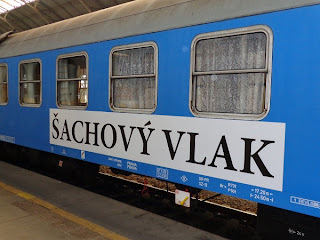 33...Ke7? The Blunder Clock sounds midnight. 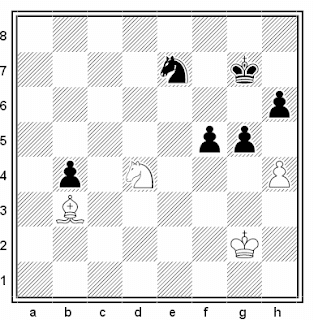 After 34...Be5 35 Bc5+ Kf7 36 Qf3+ Qf6 37 Qe3 Re8 38 Rf1 Bf4 39 Qb3+ Kg6 40 Rxf4 tChess Pro considers White has more than a 4 pawn advantage. 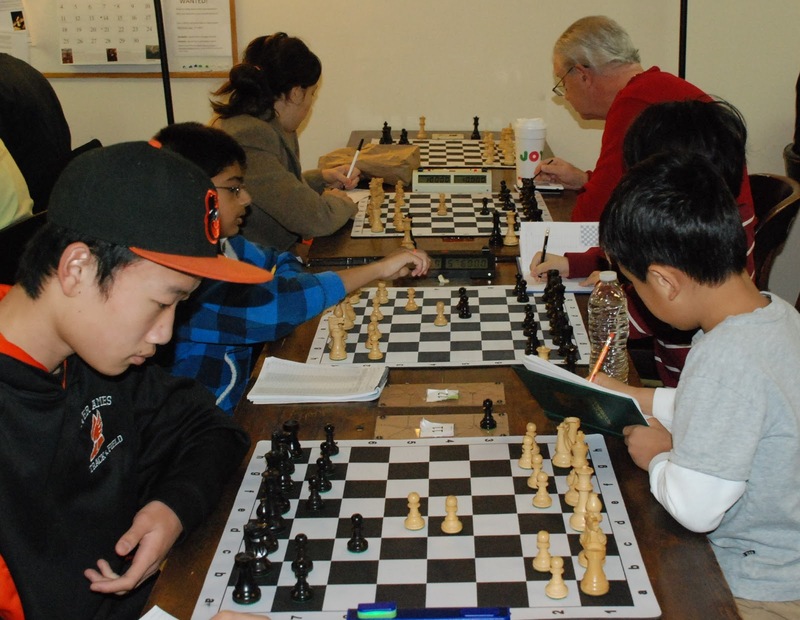 This past weekend, the Boylston's Elaine Kahn Memorial Tournament attracted one of strongest fields we have seen in some time. 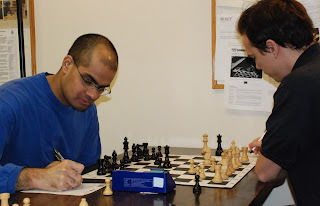 Here, LM Henry Terrie (2201) plays Ahmet Bolat (2473). Action in the Under 1950 section. Clockwise, from top left: Alyssa Stachowski, section winner Mike Griffin (congrats, Mike! 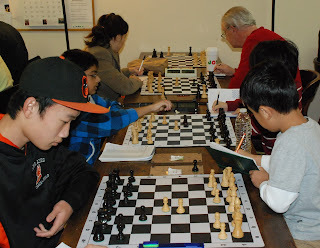 ), Brandon Jacobson (hidden), Eddie Wei, Bowen Wang, and Nithin Kavi. Natasha Christiansen takes on Eric Godin. All photos courtesy of Steven Stepak. 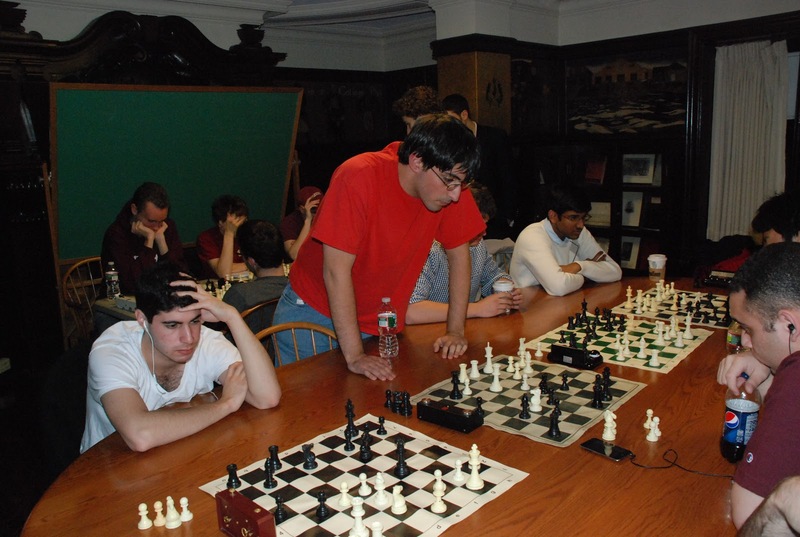 Steve Stepak witnessed Harvard Yale 10 Board Chess Match (60/SD), Friday 16 Nov in the Coolidge Room of Adams House in the heart of Harvard Square. 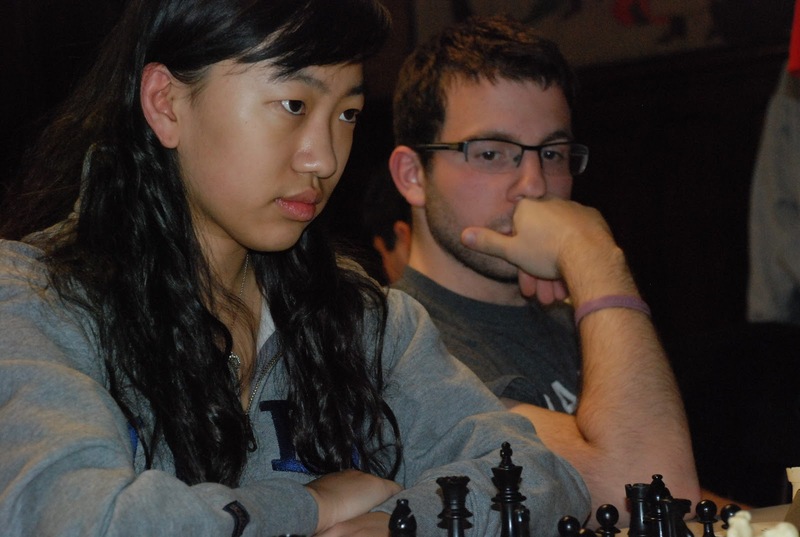 Yale featured GM Robert Hess on Board 1 and WIM YuanLing Yuan on Board 2. Hess won his game; YuanLing drew. Hence: the match was drawn! 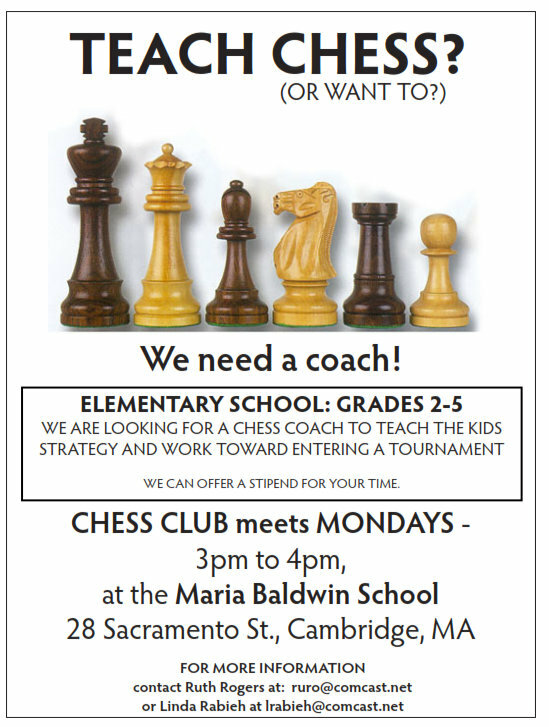 Harvard plans to send a strong contingent of players to the upcoming Boylston Chess Club Blitz Tournament on Tuesday 4 December !! 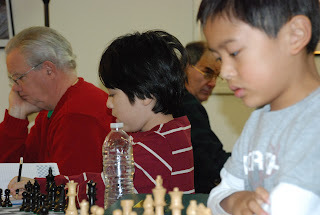 Paul MacIntyre and I went to a neat chess tournament last month. It started in Prague on October 12, and then continued in Dresden, Wroclaw, Piestany, and Vienna, before finishing in Prague again, all within 5 days. 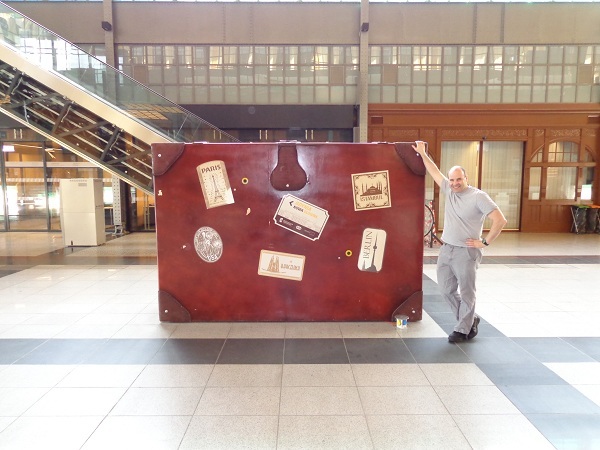 How did we play in so many countries in so little time? 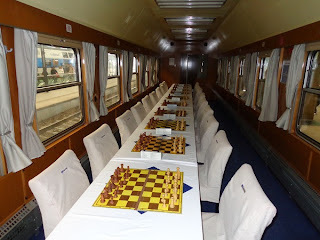 We were on the Chess Train, a unique tournament where all the games were played on a moving train. 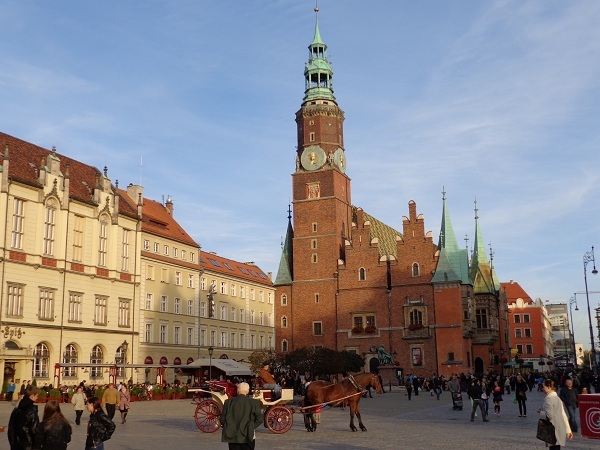 When the rounds finished for the day, all the participants checked into a hotel at the different cities, and had a chance to sight see. 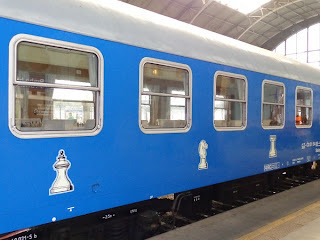 Then it was back on the train, for more chess. 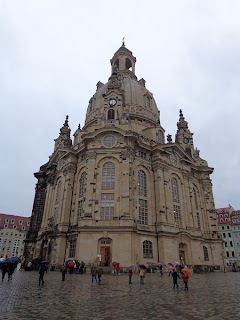 The 400 Euro entry fee covered all the train fares and the hotel accommodation, a fantastic bargain. 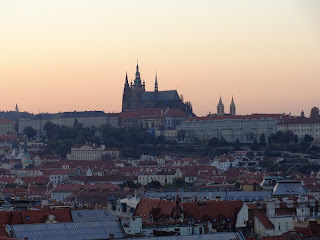 The most expensive part about the trip was the airfare. The time control was G/20 with a ten second time increment per move. The games started on the train at 10:00 AM, with 2-5 rounds per day. 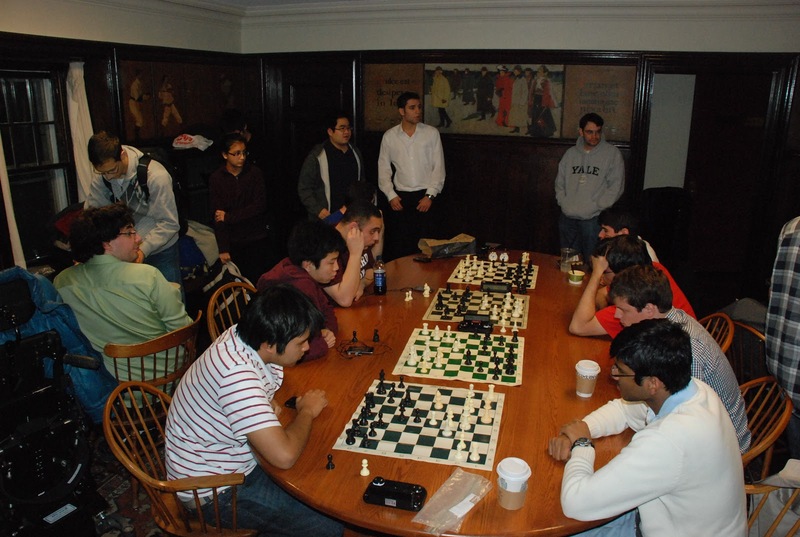 Most of the players were Czech, with a handful of players from Germany, Holland, and other East European countries. Paul and I were the only Americans. The winner of the tournament was one of the two grandmasters, Martin Petr, with a perfect 13 out of 13 score. 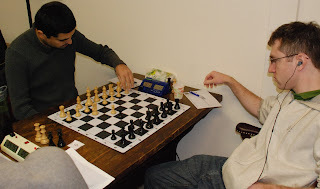 Paul and I had winning positions against him, only to lose on time trying to convert our advantages. German FM Jan-Dietrich Wendt won second place. 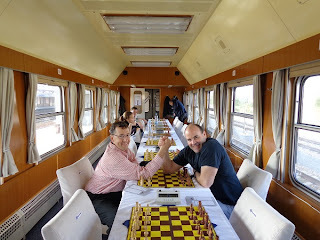 Jan Plachetka, a legendary GM from Slovakia, finished in third. Paul and I tied for the remaining money prizes with Sven Roemling, an interpreter from Germany. It was a fun tournament. Because the turnout was slightly lower than expected, the organizers had more prizes than participants. The organizers proved to be generous. They handed out chess piece-shaped chocolates to everyone on the way to Wroclaw, and flash drives in the shapes of trains on the way to Piestany. 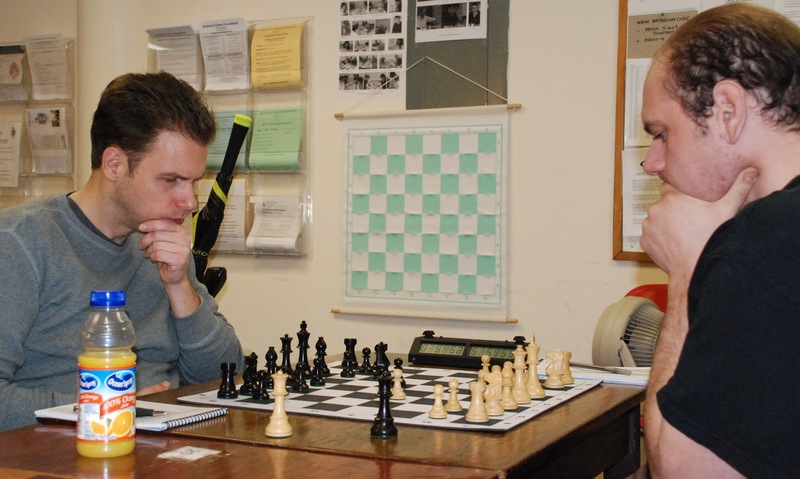 In Vienna, they organized for the players a tour of the city's legendary chess cafes. At the closing ceremony, everybody won something. Paul won a humongous food basket, and I won a digital Fischer random chess clock, in addition to the money. and by the end of the tournament we weren't even keeping scores of the games. I did save mine with Paul, though. The best part about the tournament was the people. On a confined train for five days, you get to know your fellow participants very well between rounds in the restaurant car. Our opponents spoke good English, and were fascinating, accomplished people outside of chess: a retired bookseller, a stock investor who worked out of his laptop, a doctoral physics student, an interpreter who spoke 9 languages, an international trade lawyer, and others. 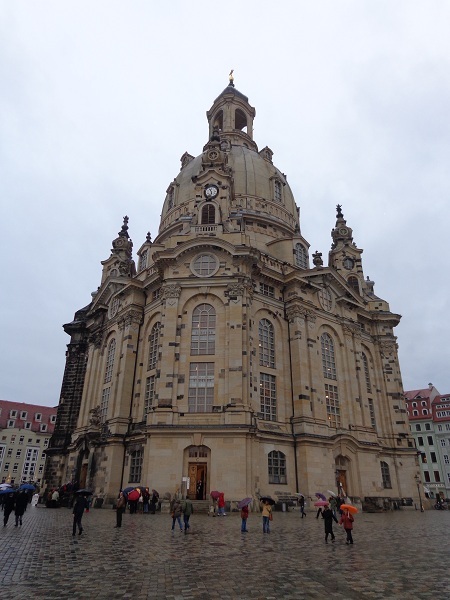 Many of us went sightseeing together in the cities when the train stopped for the day. 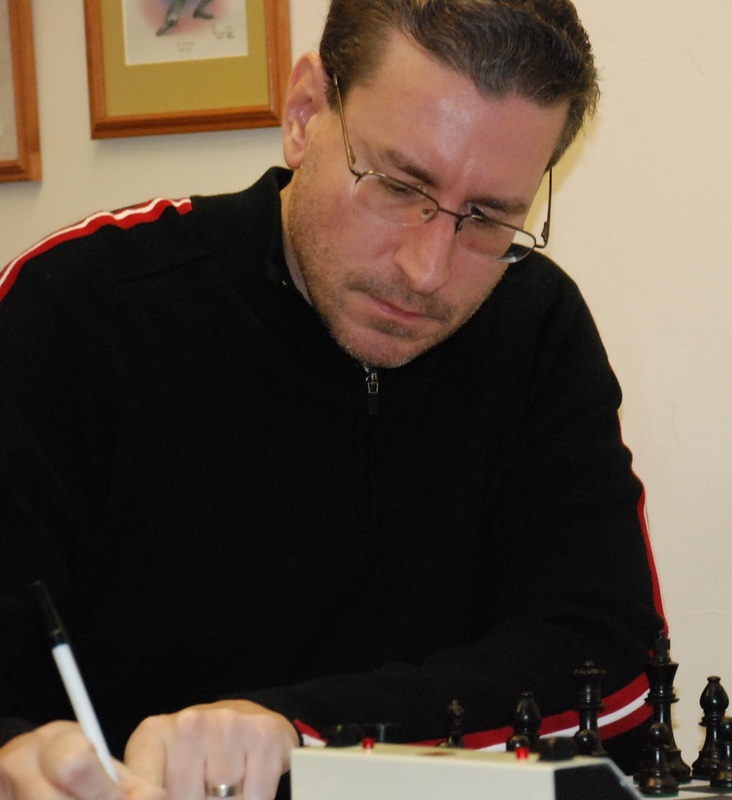 Pavel Matocha, the lead organizer, promises to run the Chess Train again in October 2013. 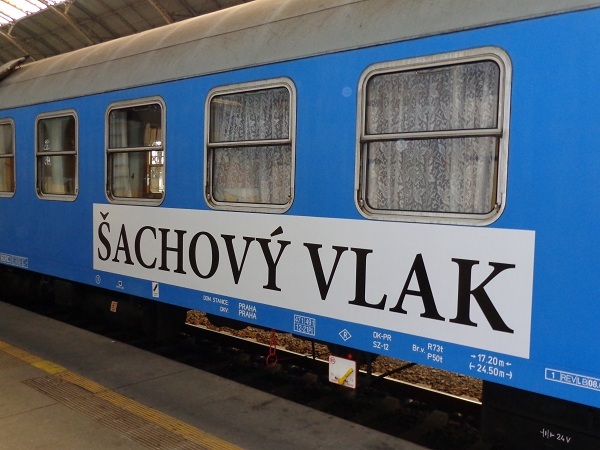 If the train stops in different countries, I will be there! 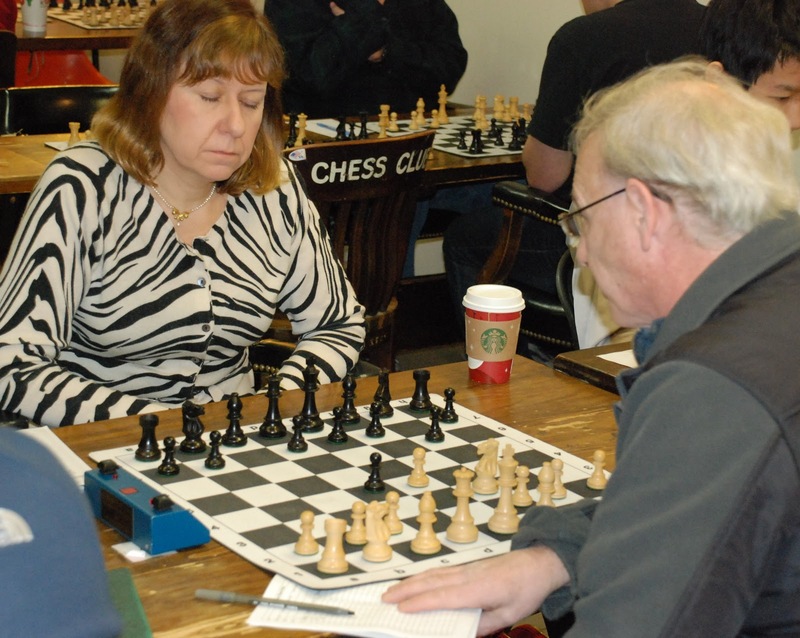 This tournament is made possible by a generous donation from Richard Kahn, in honor of his late wife Elaine, who encouraged him to pursue his hobby of playing tournament chess. In the beginning, the floor in the middle of South Station was without form or purpose, a great void of colored tile upon which those consumed by more pressing travels would walk by without a second thought. But then on this spot there came to be a great event, on the second Tuesday of each month, in which one of the great legends of chess displays his might and mastery against over two dozen opponents at the same time. As a Tuesday looms (November the 13th) which is the second of its month, as it was written in the schedules and on the posters, at the hour of 5:00 in the even time, such an event will begin again, welcoming new challengers until 6:30. Do you have what it takes?